After Timmy Falls drilled a 3-pointer from the corner in front of the College of Idaho bench, he started jawing. The Montana sophomore is known for his tenacious play, his virtuoso passing ability and his top-notch verbal combat. 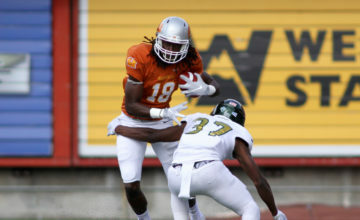 The 6-foot-2, 165-pounder plays much bigger both because of his physical, smothering style defensively and because of the bravado he carries himself with. 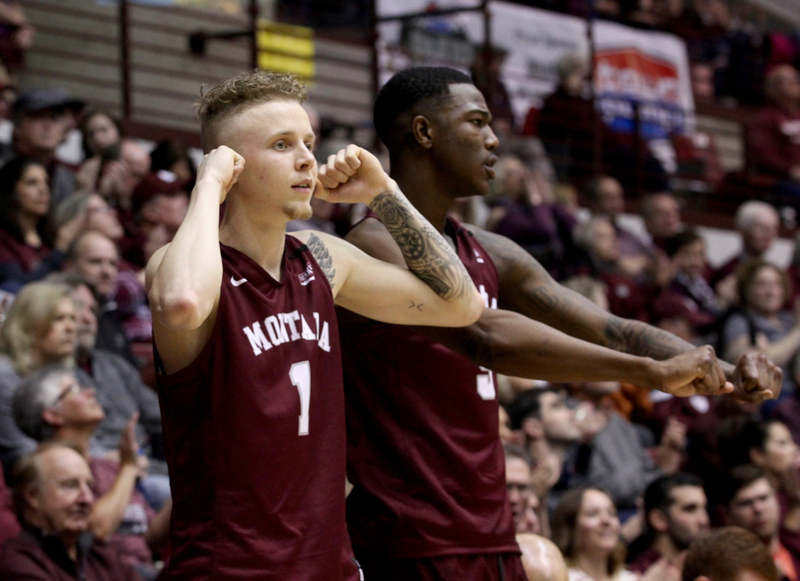 On Monday night against the NAIA Coyotes, Falls ignited the Griz with his slick passing — he dished out three assists and hit the corner 3-pointer during Montana’s 19-4 run to open the action — and his trash talking. Minutes after his triple, he ripped Derek Wadsworth and rifled a pass to streaking senior forward Bobby Moorehead. Moorehead’s two-handed dunk put the Griz up 36-12 with four minutes left in the first half. Then he started to jabber. He talked enough smack that he received a verbal warning from one official, who said, ‘Not another word, No. 1.” Falls proceeded to mutter, “I’m not saying anything” repeatedly to that referee for two consecutive defensive possessions while still playing nearly flawless on-ball defense. The popular point guard from Dublin, California has lived most of his basketball life on the edge. When locked in, his emotional personality is infectious, igniting the Griz and their fans. But with Montana in the Bahamas for a preseason tournament over the Thanksgiving holiday, his emotions boiled over. Falls played 33 minutes but scored zero points in UM’s 93-66 win over Incarnate Word at the Islands of the Bahamas Showcase on November 16. He played 11 minutes total, including just one after halftime in a 73-71 win over Miami (Ohio). 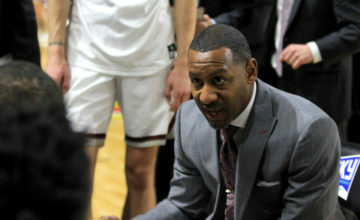 Montana head coach Travis DeCuire did not bring Falls on UM’s trip to Creighton last Wednesday. “Not really a lot of details but I said some stuff I shouldn’t have and my attitude, I had to take a little break,” Falls said. “After the Bahamas, we went home for Thanksgiving. We came back here and I just stayed here. I didn’t go anywhere. 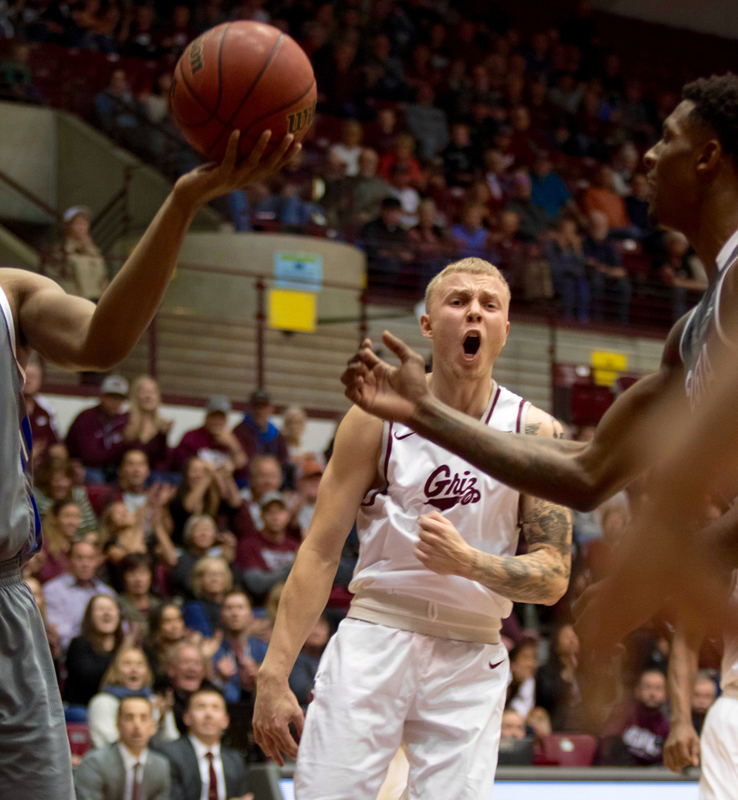 Falls watched from Missoula as the Griz found themselves on the wrong end of a 98-72 drubbing to the sweet-shooting Bluejays. Creighton hit 13 3-pointers and Montana seemed to lack the energy Falls has become accustomed to providing. 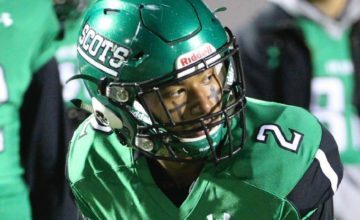 When Falls first arrived at Montana a prized recruit from the Bay Area, he initially struggled mightily with the structure of DeCuire’s system and the physicality of the Division I game. Falls endeared himself to the Dahlberg Arena faithful with 11 points in an exhibition win over Saskatchewan but then did not make a field goal or score a point until UM’s fourth game against Oral Roberts. Falls had made just two of his first 14 shots and scored 12 points over the first nine games of his freshman season. He hit his first career 3-pointer nine games into his first season a game after receiving a DNP against Cal State Northridge. DeCuire had a one-on-one meeting with his precocious rookie and encouraged the edgy player to wear his heart on his sleeve leading up to Montana’s home game against UC Irvine. “After practice, Coach pulled me aside and said, ‘You need to be the player that we recruited from AAU, high school, be that Timmy Falls.’ I think I took that to heart,” Falls said last December. Against UC Irvine, Falls hit four 3-pointers and scored 14 points, launching what would become a largely successful freshman season filled with highlight passes and a unique energy that has helped Falls earn a noticeable ovation from the crowd every time he enters and exits the game at Dahlberg Arena. That included Falls knifing Georgia State’s 1-3-1 zone in what could prove to be a pivotal 81-74 victory to open the season. And it includes Monday night’s spark. For Montana to continue getting that jolt it covets from Falls, finding a semblance of balance will be necessary. Photos attributed. All Rights Reserved.